Noworries Ken, sorry, I think you are right. I found those details in the pdf file. Shares will be issued upon full conversion of the ICPS. Noworries I was confused with the term "issue price" and "conversion price"
Noworries @christophertopher , if based on current PE, price seems like overpriced. But if you take into the account of 30% growth, current valuation is reasonable. The only risk to growth stock like mlglobal is when it unable to deliver the "expected" result. So for those who have bought mlglobal since 1.1x like me, it is okay to hold and let profit runs. For those who intend to buy but haven, you must have a very strict trading/investing plan including when to buy and sell because you do not have the safety margin like us. Noworries @Ken, as no cash is received upon the conversion of ICPS, my guess that it is probably why they extend the private placement period so that they could do another private placement to have fund to build the IBS plant as I kind of remember that they need like 20.4m (51% out of 40m, 51% holding in JV with Sany) fund as the initial investment to build the plant. After conversion,total shares become 496mil,total shares for warrant become 6.4mil. Noworries I am quite confused when you are saying that the major shareholder need time to dispose their shares. From my point of view, I dont think they want to sell and if they really want to sell, there is no retailers that have the ability to absorb the shares they own. The average volume traded each day is only around 500k. Ken PtransGoGoGo.Yes,you are right,not enough retailer able to absorb the shares,that's why they need to take more time to dispose(.Media strongly recommended,this will make more retailer to absorb)I am not sure whether you aware that one of the current ED was MD for Vintage Bhd.ML Global former name was Vintage Bhd. 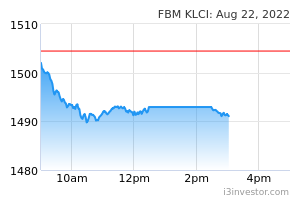 Previously the share price was push up to Rm2- 3(I can't recall the actual price)and the shares was dump until the price drop to 0.10+ & the company was fell into PN17.LBS bought over the remaining shares from him and able to control 51% of this company and he was appointed as ED for this company.The same story might be happened again & probably in very slow progress. Ken They might follow Dato Beh's footstep.If really can sell this company at market price,they can earn at least 500mil.If you can earn 500mil in one year plus,why you choose to earn 40mil in one year.But for sure nobody will buy this company at this rate,they only can sell it in market & you can know by volume traded.That's why I will base on target volume to sell,not target price to sell. Noworries Lim Hock San is selling all his direct intrest share which is 4,718,300 units at around rm1.63 per share. They are not stupid, stupid is brewing, could be selling to Sany Group as they want to be benefited together with the joint venture? After spent 2.8mil purchased the company,the target price increase from 1.82 to 2.05,this means the market capital will be increased another 492milx0.23=113mil.I really don't know how they analysis.Anyway as they controlled most of the shares,I think they will push up to 2.05. Ken The company NTA are miscalculated,not so high.They should deduct 253mil good will.Good will is not tangible asset. Ken If earning per year is 24mil,base on PE 15,What is fair value of MGB? s_id1234 Why this stock no support at all ? 一針見血 Don't think the price is cheap.Jangan kena trap. 447mil purchased at 0.67.Now the price is 1.36.Still up 100%. s_id1234 But RHB Investment target price is 2.05? Astotti back to 6 months low. huh?? Ken The actual cost for 447mil shares is less than 0.20.MD' s elders son Lim Kim Hoe not even hold a single share.He is ED for this company.Even they sell their 50% of their shares at average price of 0.67,they still can earn more than 100mil.The faster you sell your shares,the more money will be saved.Their alliance will help them sell the shares,so you won't see any director dispose their shares in bursa. Astotti Hi Ken, can you further explain how the alliance help him to sell share since he still holding the same share in his account, how he can benefit from this? Recently big bosses work so hard to support the stock, when will it return to its historical high? Ken After acquisition of MITCE by MGB,LBS & Datuk Lim Lit Chit sold approximately 60mil@0.67 MGB shares to institutions.After that,MD disposed his own shares 4.7mil@1.63 via on/off market & Datuk Lim Lit Chit disposed 10mil@1.63 via off market in early Jan 2018. LBS purchased approximately 6.5mil@0.815-1.30 this two months recently which believe mostly disposed by institutions.MD also purchase 0.4mil shares from market.Institutions able to sell & LBS able to buy at this price because their cost is 0.67 & below 0.20 respectively. Datuk Lim Lit Chit is MD's cousin brother and he is believe to be proxy of MD.Those who purchased at 1.63 & some of investors who purchased at 0.67 is alliance to LBS. beatme nobody follow this stock? s_id1234 recently everyday also up, today up with extreme high volume. anyone know what happened?